Beach Bash Bikini’s on Bowery! The other day, I headed to soho in nautical fashion with my mom to go swimsuit shopping at one of my favorite stores Bettie Page Clothing. I was looking for something retro and what better place to find it than at the Bettie Page store? I just found out that they just got in a fresh batch of Beach Bash swimsuits so I went crazy trying all of them on until I found the right one lol. 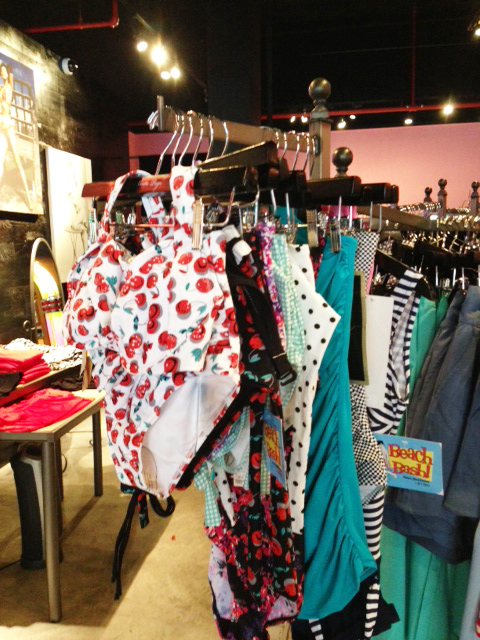 Beach Bash is another brand owned by Bettie Page that specializes in beach wear and they have some REALLLY cute stuff! It was so hard to choose because they had so many great styles with different prints and they all looked so darn cute! I actually bought a Beach Bash swimsuit last year and have worn it to death because it’s so cute and comfortable. However, just like a woman can never have too many shoes, a woman can also never have too many swimsuits! Beach Bash offers a variety of cute beach wear that doesn’t only consist of swimsuits but playsuits as well! I love that they are also reasonably priced. I am obsessed with their leopard/colored playsuits that you can mix and match. They are just so awesome for this crazy hot weather and you can always find them along with everything else that’s retro and fabulous at the Bettie Page store. I just knew going in there would be trouble but just haddd to. I wish I could have left in the swimsuit I purchased because it was so hot that day but my cute stripe romper did me some justice. 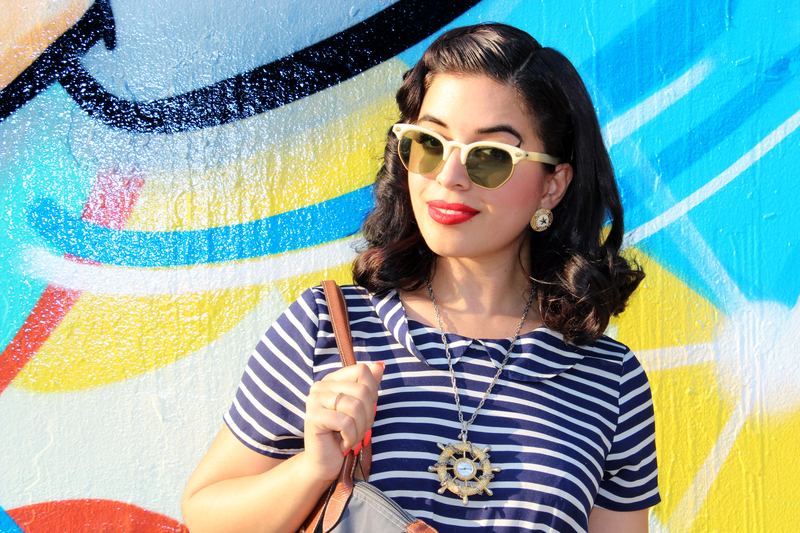 I was feeling very nautical that day adorned with stripes, my vintage boat steer necklace, boater moccasins, sunglasses, and Long Champ tote. You would have thought I was sailing out to sea! See more photos of my day and outfit inside! 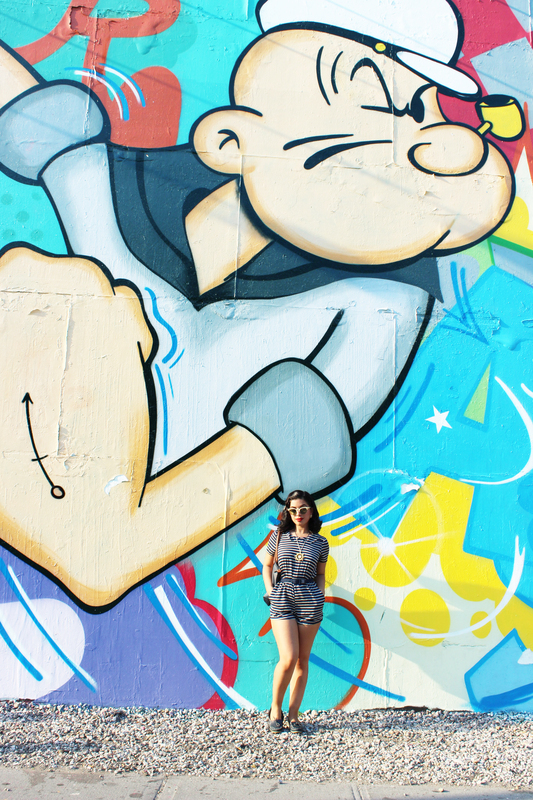 While walking towards Bowery to the Bettie Page Store, I stumbled across this awesome wall by Crash. How fitting with my outfit! 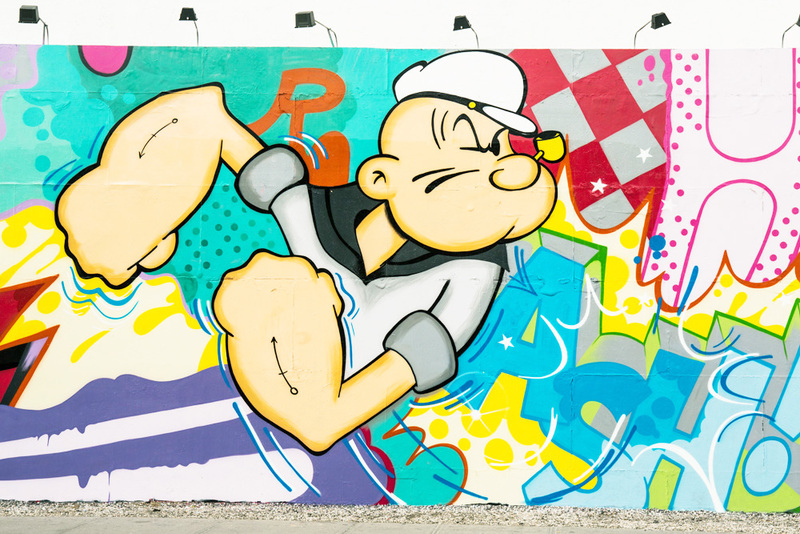 My friend Lance calls me Popeye haha. Can you believe this romper only cost me $11 last week at Buffalo Exchange? My shoes are also from Buffalo and were cheap as well! It was one of those perfect outfit/perfect hair days :). Thank goodness! My vintage earrings and boat steer necklace was from a shop called Billy Antique’s that was actually on the same block. Too bad it’s gone :(. My glasses were a score on Ebay. They are my favorite of my collection! My tote is actually my sisters and I just stole it because It fit my life in it that day lol. My shoes are from the 50’s and you would have never thought it until you read the inner label. They are so gnarly! 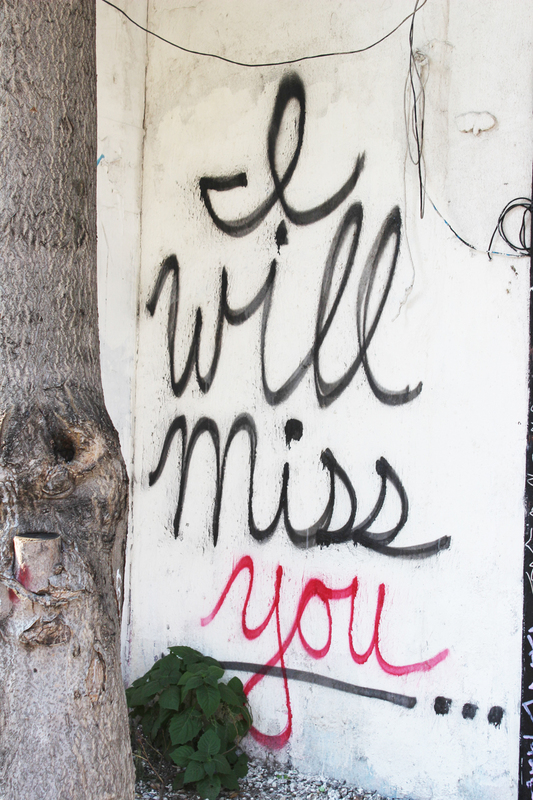 I will miss you Billy’s Antiques! 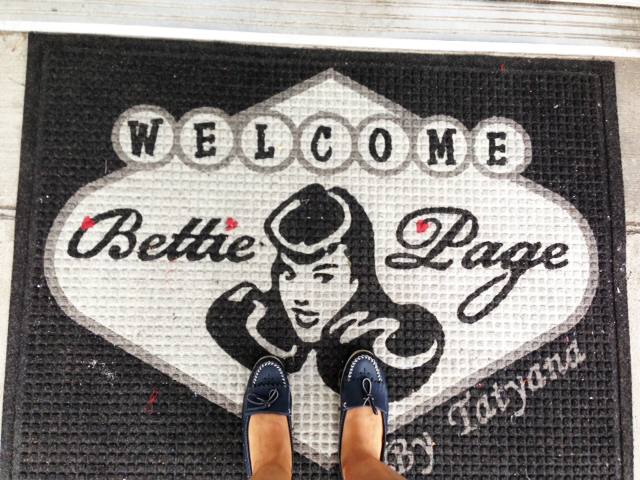 Well hello Bettie Page store! 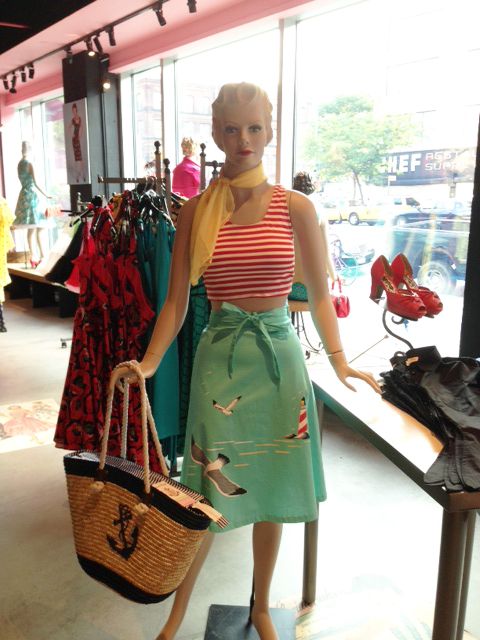 Someone else was feeling nautical-this mannequin! How awesome is this Marina stripe top and Seagull skirt! 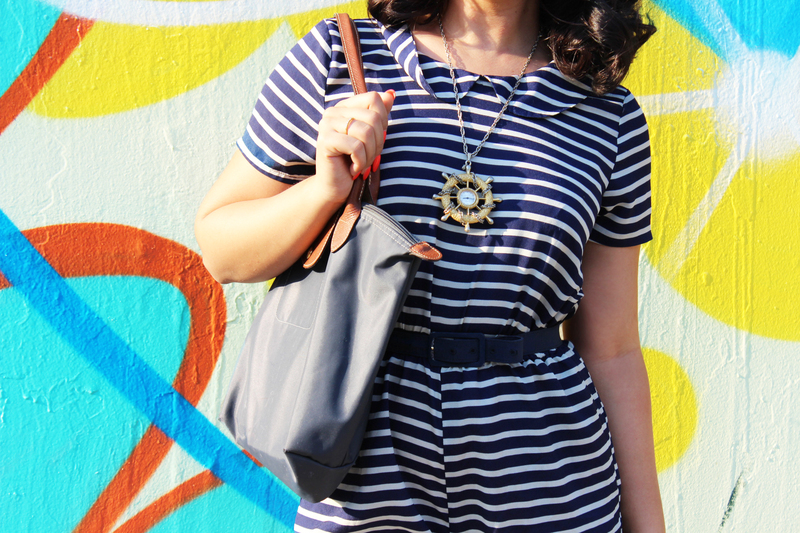 The nautical anchor purse ties this outfit together! Oh Bettie, I wish I could sport a swimsuit like you do! 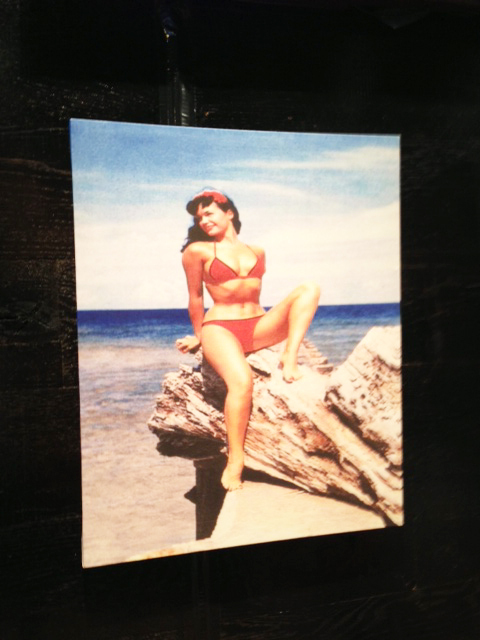 Do you know Bettie made most of her swimsuits? She should have been a designer herself! 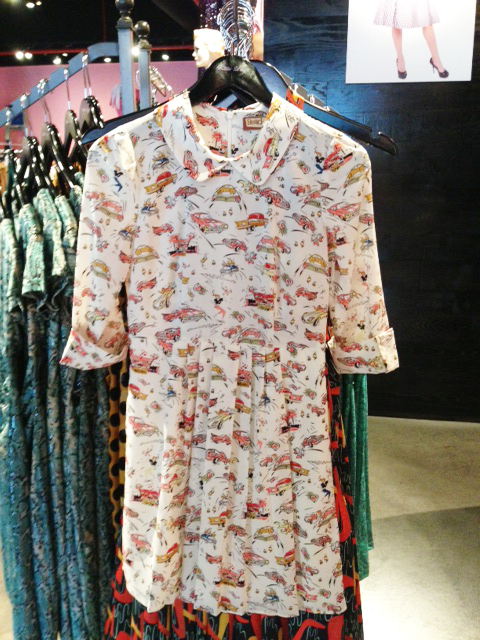 Love this Prada inspired retro car print dress by Beach Bash! Here is the print up close! Swimsuitttssssss. 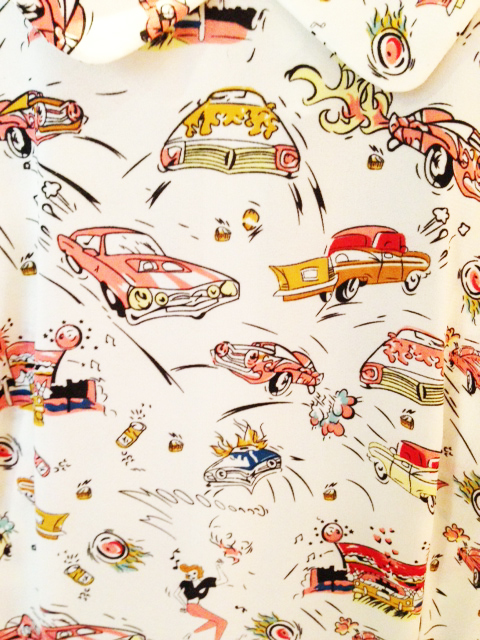 Look at all of these fun prints! I’m ready to try them on! Of course I had to try the Marina top! I had to try the BB HW shorts too! These shorts come in a variety of colors and prints with matching sun tops! This outfit is perfect for a walk on the beach! I love this turquoise gingham Beach Bash swimsuit! This one was the winner! However, it was so hard to choose after trying on… ..this one! I love the white and black polka dots but it resembles the one I got last year. I might just get it anyway the next time I drop on in ;). These are only sold at the shops as for now but will soon be on the Beach Bash website! I love this Classy one piece swimsuit too because it resembles he fit of vintage swimsuits so well! This one fits really nicely, so good, I could have sworn it had shapewear underneath! Last but not least, every pinup girl needs a parasol for when the sun gets way too hot! The Bettie Page store has an exclusive Olivia De Berardinis Bettie Page parasol that’s a show stopper! All of these things are sold exclusively at the Bettie Page stores so get ready for your retro summer by stopping on in! All those swimsuits were too cute and you looked lovely in all of them. Actually on our blog fishing through to find good websites I was considering a retro swimsuit because I don’t want to wear the same thing everyone else is wearing. Just need to find something for my short torso and that has a bit of tummy control.